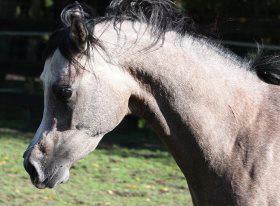 Aryen was an ultra exotic grey colt, with a superb pedigree. He was very, very beautiful, with an extreme head, huge eyes and tiny ears, coupled with a long elegant neck and strong body with a deep, flat hip. Aryen was a delight to know - super bright and sweet, always cheerful and with a great love of life and sense of fun - we called him 'Mr Cool' because he was so chilled. I adored him - my whole future was wrapped up in that lovely grey package. There wasn't a day that went by that I didn't pause for a moment just to take in his beauty. His sire Monther Al Nasser (Ansata Hejazi x Aliah Al Nasser) is a multiple show champion, now owned by Aljassimya Farm. 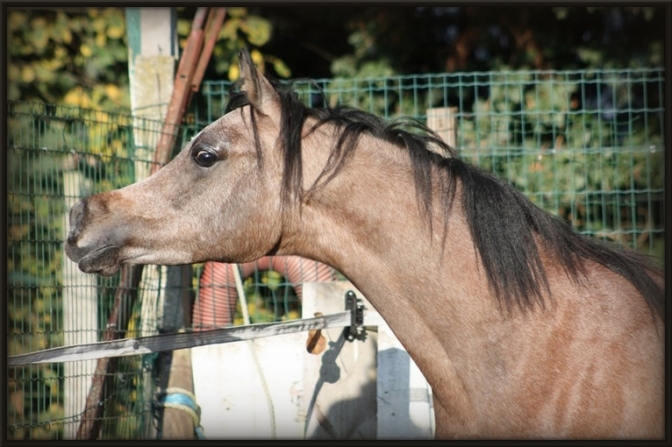 His dam the beautiful Athina El Jamaal (Maysoun x Athenais El Jamaal) has gone on to produce the 2014 World Champion Yearling Colt, Ghazwan Aljassimya. 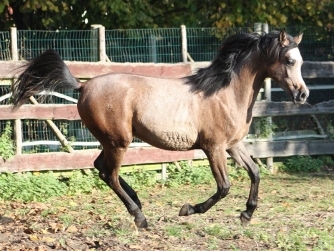 Athina is now with Al Shaqab. Aryen's pedigree, for me, was near perfect - predominately Egyptian with the successful Ansata Halim Shah sireline, and two lines to Ali Jamaal . 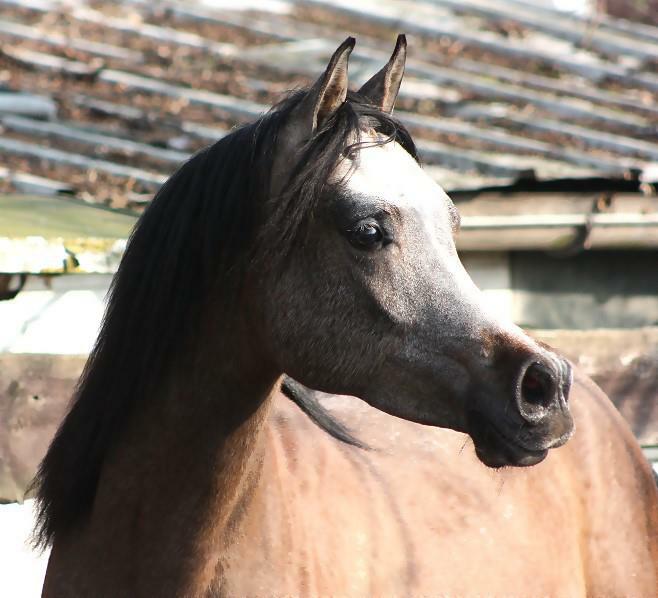 I felt so priviliged to own him , he represented everything I love in terms of looks and pedigree. The future looked bright. On 28th February 2014 my whole world was turned upside down when I found Aryen dead. Just hours before he had bounded across his paddock, full of life. It is impossible to put in to words how terrible the shock was, how devastating the loss, and what a huge hole this gorgeous, sweet boy has left. 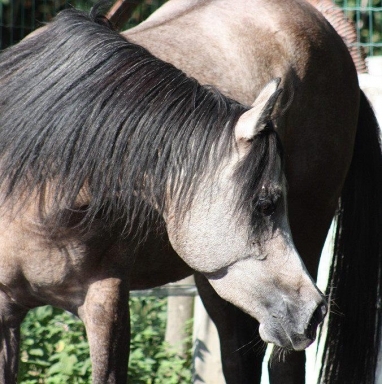 Aryen was very intelligent, always cheerful and happy, bursting with life - with a way of brightening even the darkest day.....my dream horse. When he left, all my hopes and dreams went with him. I was on the brink of giving up Arabs altogether - it all seemed pointless without him, there was no joy anymore. Everywhere I went, I saw his beautiful face before me. In March 2015, I was 'rescued'. I knew I could never replace Aryen - but when I was shown a video of a very smart bay colt, there was a look in his eyes I recognised. Cheerful....bursting with life. In May 2015 we were joined by Aryen's half brother, Ali Aljassimya (Monther Al Nasser x Bint Alia Aljassimya) from Aljassimya Farm in the US. Ali's character is very similar to Aryen's - they share the same intelligence, cheerfulness, love of life and huge sense of fun. Once again - with thanks to Aljassimya Farm - there is light in my life and hope for the future. 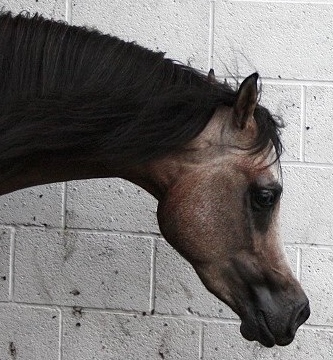 Aryen remains the most beautiful horse I have ever seen. I still miss him every single day, mourn his loss, and wonder why he had to leave us. 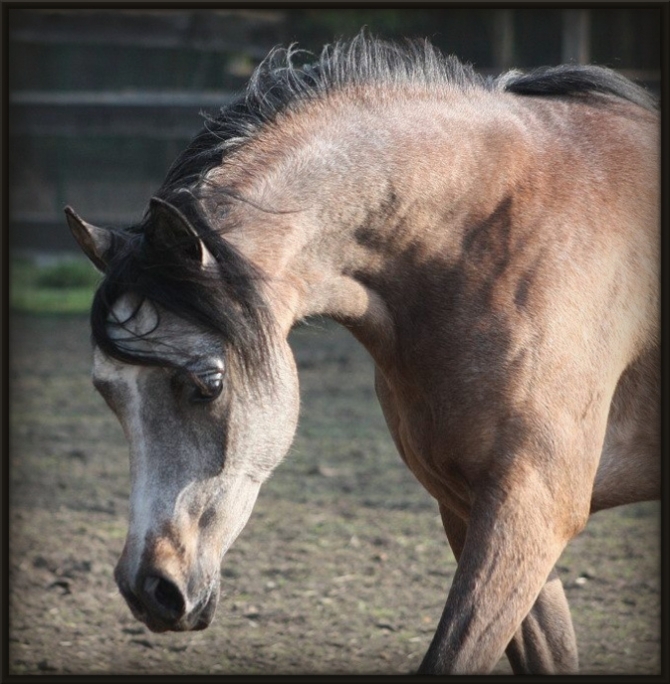 He may not have had the chance to shine in the show ring or the breeding barn - but there is a place in my heart where he will always shine brightly. I will never forget him.